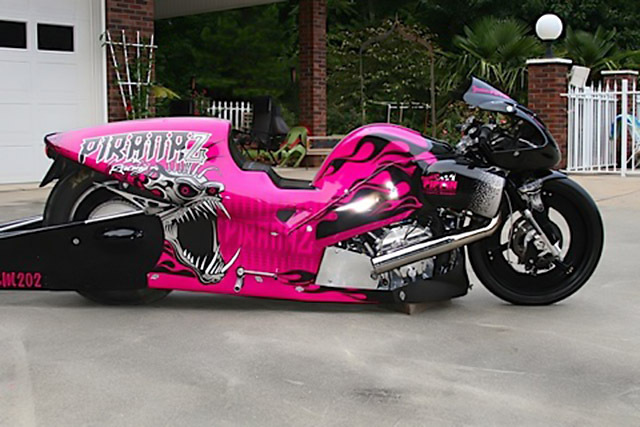 NHRA Mello Yello Pro Stock Motorcycle racer Junior Pippin has stepped back from racing the last couple years while supporting his wife Lisa in her battle with breast cancer. 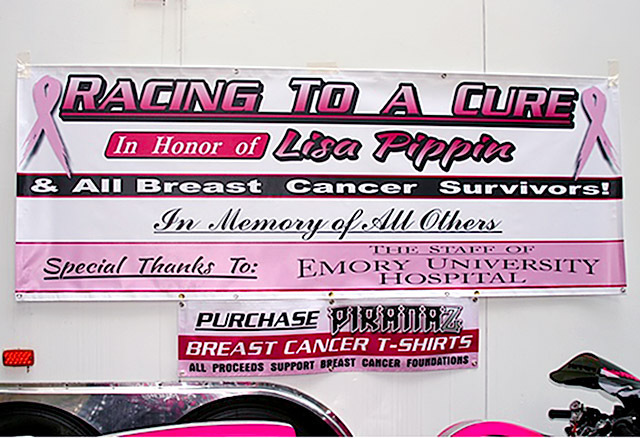 But at this weekend’s NHRA Carolina Nationals at zMax Dragway, Pippin is back and sporting the universal color of breast cancer fundraising—pink. 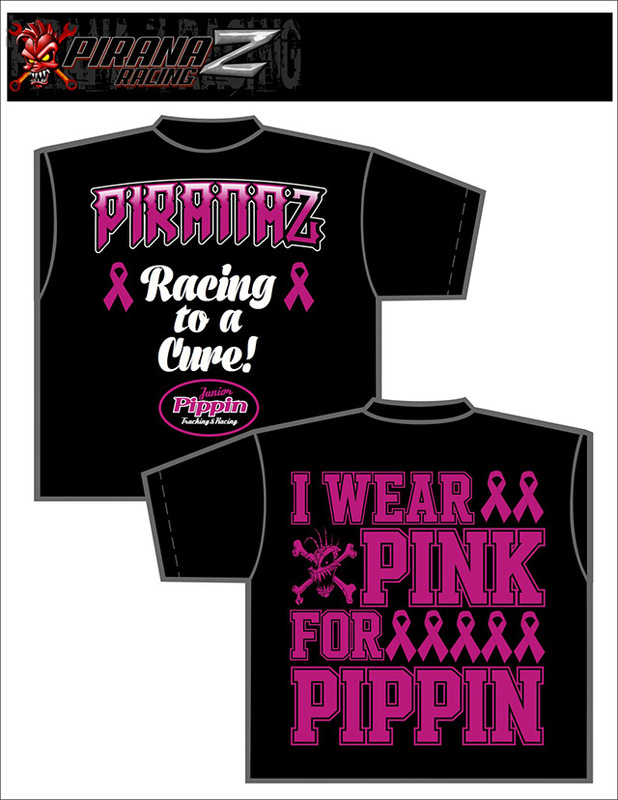 And Pippin hopes to get the attention of the NHRA’s philanthropic fans with his Buell’s eye-catching wrap and the PiranaZ shirts they can buy to support breast cancer research. But just because he hasn’t been racing doesn’t mean he hasn’t been watching, and he knows that Pro Stock Motorcycle is more competitive in 2013 than ever. “Now there is some integrity back in the class and it’s tougher to make the field than ever,” said Pippin. “I don’t know exactly how well we’ll do, but I’ve got two motors ready to go right now and this old man’s ready to squeeze everything we can out of them. I’ve got David Bost tuning. His family has been in the trucking business ten years longer than mine— Paul Bost Trucking in Rockwell, North Carolina—and he’s kind enough to take time away from his business to support this cause. 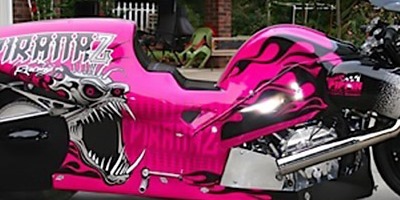 Junior Pippin would like to thank PiranaZ http://www.piranaz.net , S&S Cycle http://www.sscycle.com/ , Junior Pippin Trucking and Paul Bost Trucking.